In conjunction with its Posibin, Metalfab’s HD dual-outlet, heavy-duty volumetric feeder meters powder with near gravimetric accuracy. 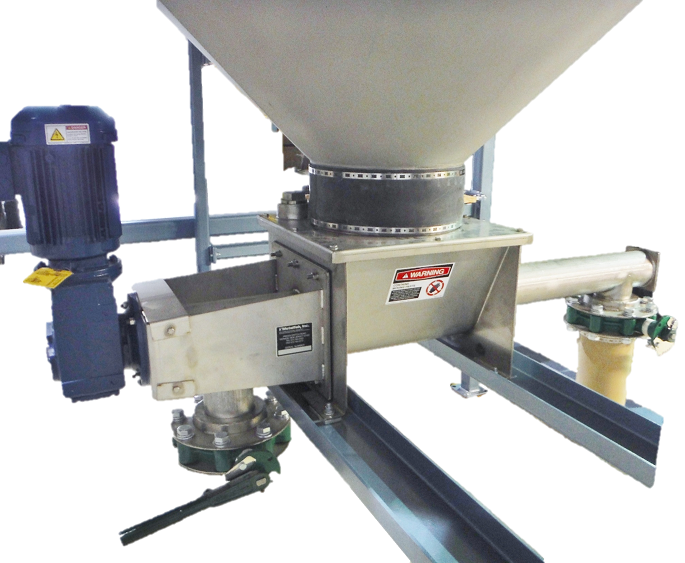 It eliminates downtime disassembling upstream/downstream equipment to reclaim unused material. A flip of the switch reverses the feeder screw to empty your bin and receive the reclaimed material back into inventory. Features include stainless steel mill finish; 4-16-in. manual or automated discharge valves on each outlet.